13 1/2 x 9 inches. 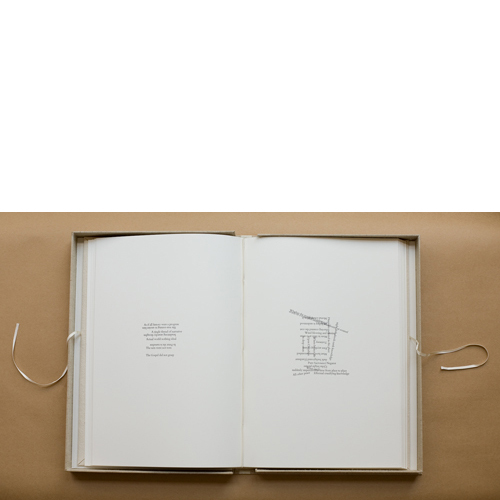 A limited edition book with 6 woodcuts by Mangold accompanying Howe’s poem. Printed on Somerset and Kozo/Gampi in an edition of 65. Bound in Timothy Barret’s hemp paper.